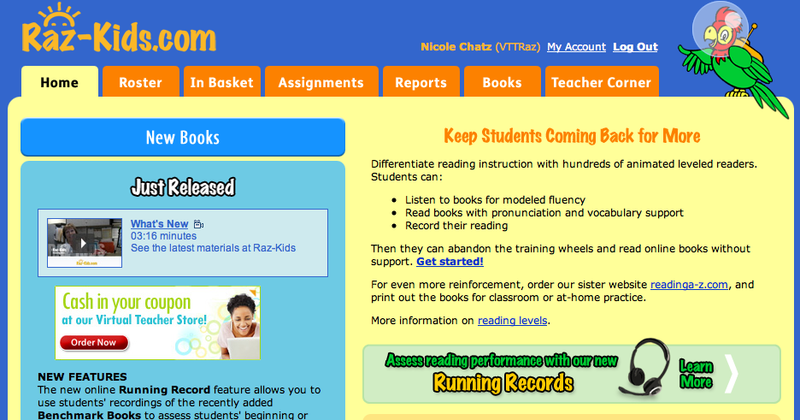 Raz-Kids is a subscription-based, interactive e-books program. Click HERE to watch my tutorial about how to use Raz-Kids. 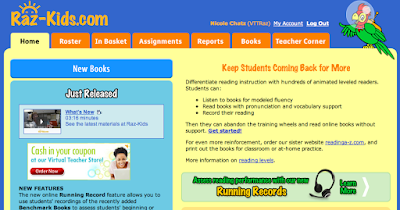 First, assign students to levels, based on Reading A-Z's fluency passages (or at your own discretion). Then, students listen to books for modelled fluency, read with pronunciation and vocabulary support, and take online quizzes to assess comprehension...all the while earning points toward their virtual rocketship. Teachers can log in to access student records at any time. Leave a comment to share how you are using Raz-Kids in your classroom.